After quite some time messing around with my image, I realized something was missing. 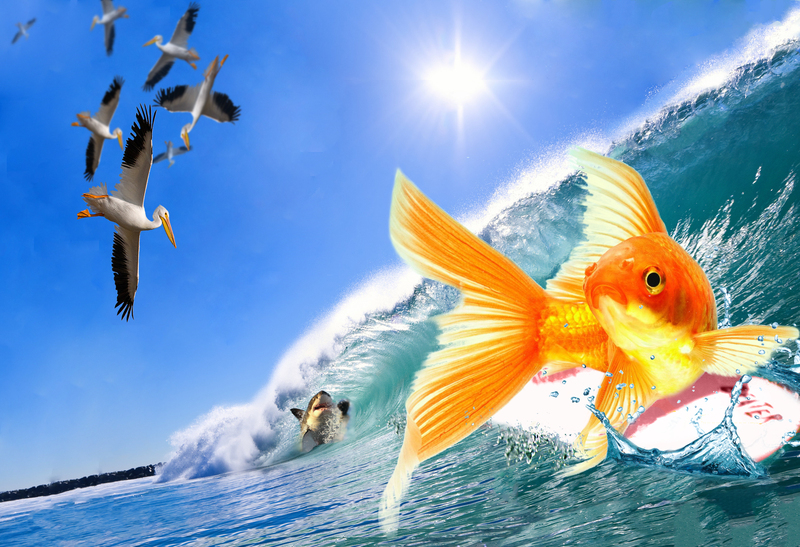 I added Pelicans & a shark chasing my goldfish to add some life to the image. I’m very satisfied with the end-result of my Hyperrealist project. It was a nice experience for me because I’ve never used photoshop before & it doesn’t look horrible.